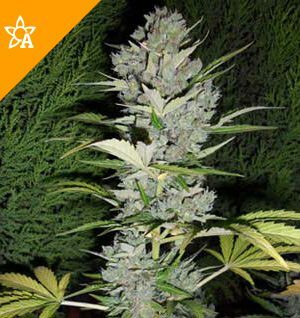 Northern Lights is a multiple award winning seed-strain with a reputation as one of the greatest Afghani-based cannabis Indica varieties of all time. A super-heavy yielding strain that can thrive vigorously in a variety of environments, Northern Lights should be on everybody’s must-have list. This weed commands serious respect from even highly experienced smokers thanks to the deep intense stone it imparts, and novices should approach the large sparkly buds with caution! As a cultivar with a short flowering time, Northern Lights was a natural choice to recreate as an auto-flowering strain. The combination of the original Northern Lights genetics and those of one of the finest auto-flowering breeding strains has produced a feminized selection of seeds capable of maturing into a crop of fat buds ready to harvest in only a few weeks. People who buy Northern Lights Automatic are investing in an excellent example of a low maintenance, high yielding Indica that lives up to the reputation of the original, and yet can even grow happily on a sunny windowsill! Temperate / ContinentalNorthern Lights Automatic (Autoflowering) can be grown outside in a normal warm summer. Compact plantNorthern Lights Automatic (Autoflowering) will have relatively small height gain during the flowering phase. Flowering 45 – 50 daysNorthern Lights Automatic (Autoflowering) will have a comparatively short flowering time. 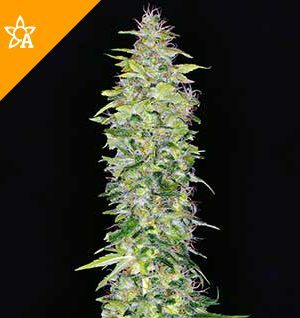 90% Indica The Northern Lights Automatic (Autoflowering) strain has large proportion of Indica genes in its background.